I can dig it, can you? 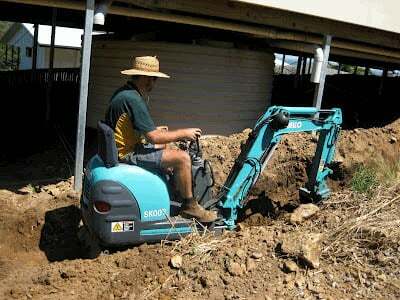 Have you got a problem garden, excavation or drainage repair that requires attention? There's too much for a pick and shovel but not enough access for a standard machine? Ask about our micro excavation services! Our micro excavator can access confined areas of 700mm and up. That is, it’s agile enough to get through an internal domestic doorway and dig those problem teens from your lounge room couch. We can dig your job faster, with less mess and save you not only your back but also your hard earned cash. 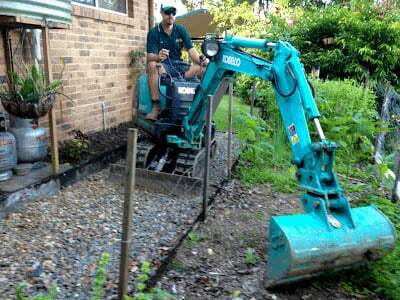 We can do vegetation removal, drainage installations, and landscaping. Our operators are qualified plumbers so there’s no need for extra tradesmen at your expense. So now’s the time to stop getting those drains unblocked and get the problem fixed once and for all. We’ve been providing our customers with drainage repairs on the coast for over 30 years. Give us a call today so you can sit back and relax tomorrow!